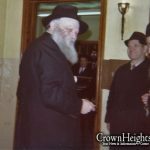 On the day preceding 22 Shevat 5752 – 1992, the Rebbe, nearing his 90th birthday, had been standing on his feet for some four hours. 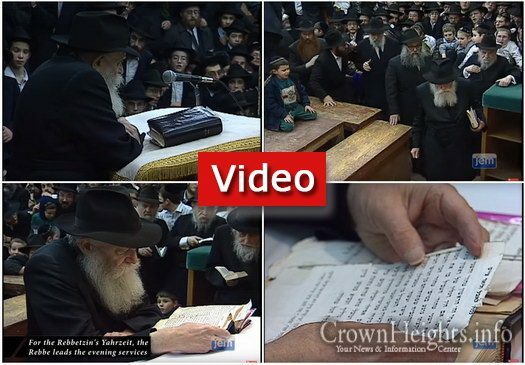 These scenes, filmed in high quality by a JEM film crew with special access, contain shots of the Rebbe leading the evening prayers on his the Yahrzeit of his beloved wife, followed by remarks in a talk to the public filmed from a unique angle. 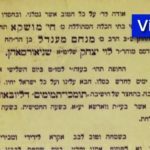 Finally, shots of the Rebbe distributing a special booklet with talks about the importance of the Jewish woman, along with a five dollar bill and a piece of honey cake. 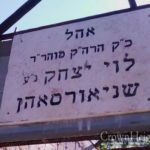 Over the next five hours, the Rebbe would hand out over 11,000 of the booklet to men, women and children.